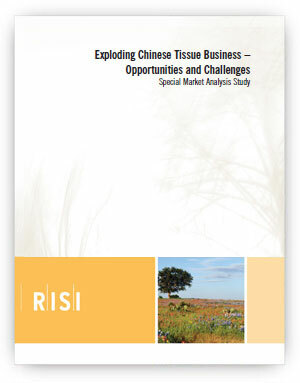 Exploding Chinese Tissue Business - Opportunities and Challenges - Fastmarkets RISI - Objective Insight. Better Decisions. 13 years of historical data. Tissue market drivers: socio-economic factors, retail environment, infrastructure in China. Analysis of the China tissue market by region, including: consumption, capacity, production, raw material base, plans and future developments. Tissue consumption by main grade and region. Separate forecasts made by 8 economic sub-regions. Extensive list of mills with capacities and technical data by province. Key retailers and distribution channels. In the last five years, tissue demand has accelerated rapidly in China. Tissue consumption in China is 7.5 times higher than it was 20 years ago and annual volume growth has more than doubled to between 400,000-500,000 tonnes within less than 10 years. In fact, China is expected to account for close to 40% of global tissue growth in the coming years. 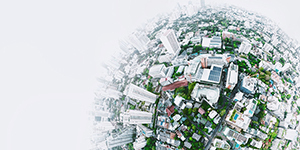 To help you understand the trends driving this demand, as well as the sub-regional development of the market for the next 8 years, Fastmarkets RISI is publishing a new and detailed study on the expansion of the Chinese market. Exploding Chinese Tissue Business – Opportunities and Challenges, considers the demand for raw material; the fiber furnish in the Chinese market, and by main player. The study provides intelligence on the competitive situation in China, with analysis of the current industry structure, distribution channels, regional and national players and tissue machine suppliers, including how these are expected to change over the next eight years. It identifies whether there is room for new players in the market and the prospects for tissue export growth. Exploding Chinese Tissue Business – Opportunities and Challenges identifies mills in China that account for approximately 9 million tonnes of tissue capacity. It segments the market into 8 economic regions, showing you the strengths and weaknesses of each region rather than looking at China as a single market. This can help you identify the regions and mills that are most influential in the market and in need of fiber or other inputs. The most comprehensive, unparalleled compact data source and forecast for the global tissue market! A quarterly update on the global tissue market with news, in-depth regional reports and market statistics. A monthly review of the U.S. tissue market, including historical trend data and capacity change data going forward two years.